Best Friends Week proved to be too much for Pat Sajak. Crazy things happen on game shows. No matter how long you’ve been watching, or how many thousands of episodes you’ve seen, there’s always something new. Sometimes, it’s a contestant that’s really, really good at the game. In other cases, it’s a contestant that’s really, really bad at the game. Usually the ones that are bad are much funnier, for both us at home and for the people on the show itself. Just ask Pat Sajak. 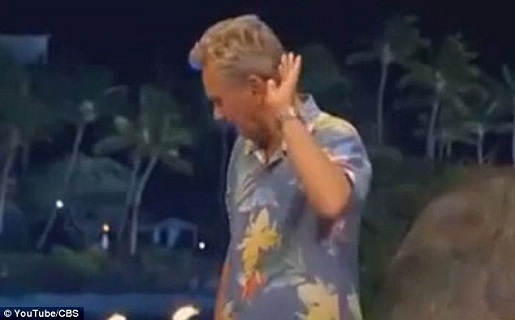 Pat Sajak walked off the stage at a Wheel of Fortune taping after a pair of spectacularly goofy answers. Now that’s pretty funny. I’m not sure if the pair of best friends who guessed “riding a white horse” were making fun of the brown horse guys, or if they legitimately thought it was the right answer. Still, either way, it was a great response and I’m not surprised at all that Sajak wandered off the stage to really amp up the laughs. Or maybe Pat Sajak was leaving to get a drink before continuing filming. Very entertaining stuff, and a deserving viral video sensation.